Kava, the Anxiety Slayer? New Research Says Yes! Well, brand-new research led by the University of Melbourne says there is. Their study, published in the Journal of Clinical Psychopharmacology, reveals kava significantly reduces anxiety symptomatology. In fact, the study submits kava could be an alternative treatment, as opposed to relying upon antidepressants and benzodiazepines (Xanax, Ativan, Klonopin, Valium, etc. ), for the treatment of generalized anxiety disorder (GAD). Based on previous work we have recognised that plant based medicines may be a viable treatment for patients with chronic anxiety. In this study we’ve been able to show that kava offers a potential natural alternative for the treatment of chronic clinical anxiety. Unlike some other options it has less risk of dependency and less potential for side effects. Ah, but there’s more. The study also discovered that genetic differences of GABA transporters (GABA is our most abundant inhibitory – “relaxing, if you will” – neurotransmitter) may actually modify their natural response to kava. If this finding is replicated, it may pave the way for simple genetic tests to determine which people may be likely to have a beneficial anxiety-reducing effect from taking kava. Okay, so not only did the study results show a significant reduction in anxiety for the kava group compared to the placebo group – participants diagnosed with moderate to severe GAD realized an even greater benefit from kava. Now, I’m going to provide a solid thumbnail on kava in a short. However, I’ll say now that kava has had a reputation for potentially causing some nasty liver issues. In spite of reputation, the study indicated kava was well-tolerated, and that includes the liver. Well, now that we know top-draw research indicates kava is a viable alternative for the treatment of anxiety, let’s learn more about it. Kava – aka kava-kava – is a western Pacific tall shrub. Its binomial name is piper methysticum – “pepper” “intoxicating.” How’s that for an appropriate moniker? Consumed throughout Pacific Ocean cultures, kava is reported to improve cognitive performance and facilitate a cheerful mood. No great surprise, kava has benzodiazepine-similar characteristics – muscle relaxant, anesthetic, anticonvulsive, and anxiolytic (anti-anxiety). Simply, it’s said to relax without disrupting mental clarity. In Western countries, kava beverage is typically made from kava root powder added to water. Often tossed-in are lecithin to aid in emulsification, and coconut water or milk, lemongrass, cocoa, sugar, or soy milk to improve flavor. Although the root was traditionally chewed or made into a beverage, kava is now available in capsule, tablet, beverage, tea, and liquid extract forms. 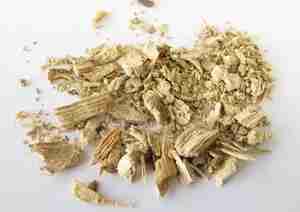 Kava’s active ingredients are kavalactones. And there are 15 of them, all believed to be psychoactive. Kava was at its public image and sales peak in the late 1990s. And not only was there a ton of anxiety relief to be had (the term “the natural Xanax” floated about), Pacific cultures flourished economically. 2001 was a pivotal year for kava. Enter two Duke University Medical Centers studies, one showing kava was safe for the liver – the other submitting kava was as effective as the benzodiazepines for the treatment of anxiety. ‘Course, sans side-effects. But the story goes that just before the Duke studies were published, a European-based report announced kava caused liver toxicity – in spite of what other studies declared. Well, you can image what happened to kava sales, and the economies of those Pacific cultures. Crash, boom! Turns out the studies supporting the liver toxicity claim were shoddy and baseless. But go figure, the liver toxicity stigma continues to stick. Good news is, public opinion is turning back in kava’s favor. I mean, reference the new research out of Australia. In the process of doing your own research, turn to your physician or pharmacist for counsel. Ultimately, however, the decision is solely yours. Liver toxicity, hepatitis, cirrhosis, and liver failure: Liver issues have been primarily attributed to pre-existing liver disease, alcohol consumption, excessive doses, using meds, herbs, or supplements that when combined with kava generate a toxic effect, and more. Don’t take it if you have a bleeding disorder, kidney or liver disease, Parkinson’s disease, are pregnant and/or nursing, or within two weeks of a surgical procedure. Potential side-effects: Indigestion, mouth numbness, skin rash, headache, drowsiness, and visual disturbances. Chronic or heavy use of kava has been linked to pulmonary hypertension, skin scaling, loss of muscle control, kidney damage, and blood abnormalities. Drug interactions: Don’t take it if you’re using Parkinson’s disease medications, antipsychotics, any med that influences dopamine levels (e.g. : Wellbutrin), alcohol, benzodiazepines, monoamine oxidase inhibitor (MAOI) antidepressants, drugs or herbs that impair liver function, meds that influence blood clotting, or diuretics (kava is a diuretic). So that’s the scoop on kava. If you find yourself consumed with wondering how to deal with anxiety – generalized anxiety disorder, panic, stress, etc. – consider kava and do some research. Looks to me as though the prospects for creative relief are excellent. How ’bout more Chipur articles? Tons of great info to absorb and apply! Previous Post: Acceptance: Seriously, Has Denial Really Worked?